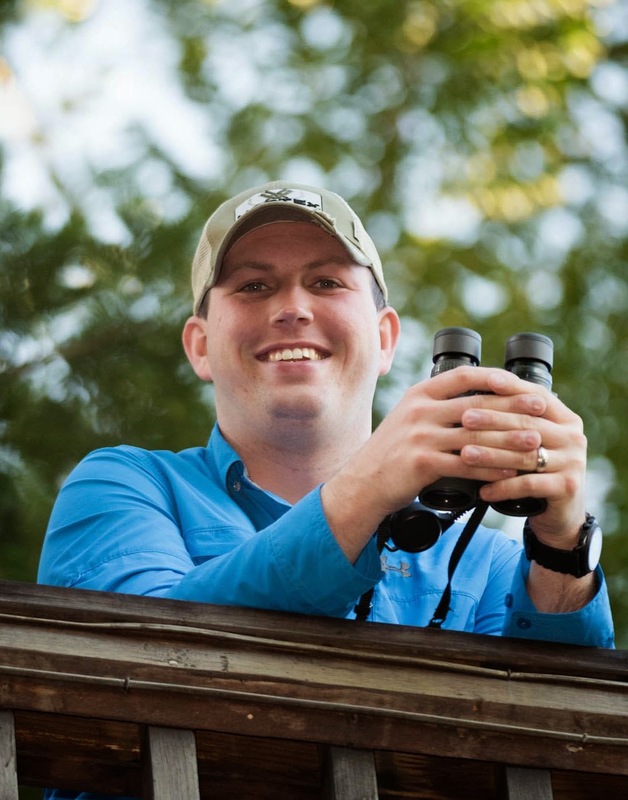 Rob writes: As many of our long-time readers know, both Eric and I have been participating in the Amos Butler Audubon Society Birdathon for many years. 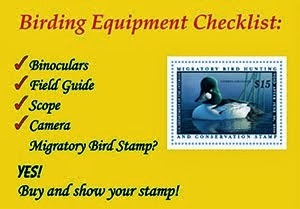 This event is a major fundraiser for conservation projects both close to home in Indiana as well as all over the world. One of the main reasons I have always loved this birdathon is that a lot of the funds have been donated to the American Bird Conservancy's (ABC) project to help protect the Cerulean Warbler. Eric banded this Cerulean Warbler while working on a banding project in Louisiana last spring. 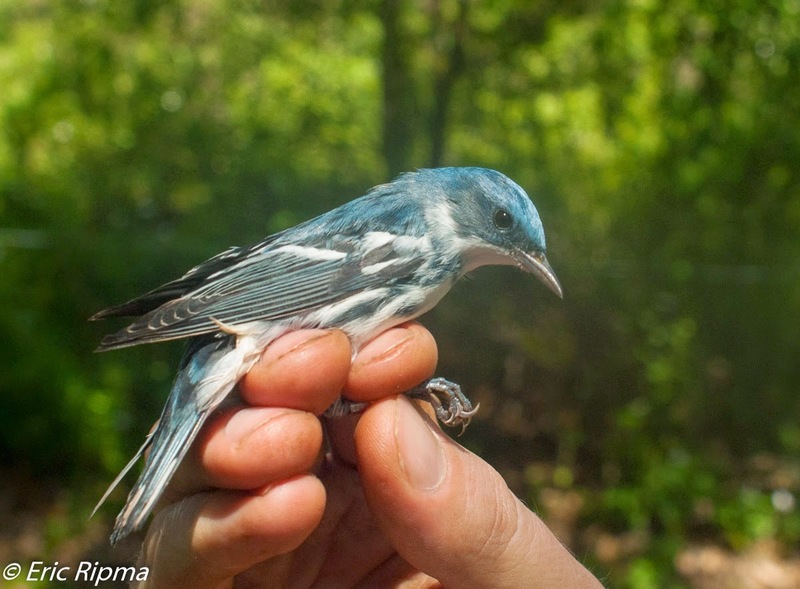 Amos Butler's birdathon has been making donations to this project for many years, and ABC just put out a press release that details the success of the project to protect the Cerulean Warbler's winter habitat in Columbia. 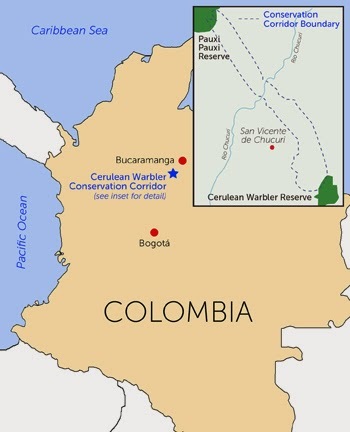 In addition to the creation of two reserves (both of which I would love to visit), ABC along with Fundación ProAves (a leading conservation organization in Columbia) have created a 6-mile long by 1/2-mile wide conservation corridor connecting the two properties. They've planted 500,000 seedlings on nearly 3,000 acres of land to make this corridor happen! ABC has provided this map to show where the work to save the Cerulean Warbler has occurred. Learn more about all of the work they have done by reading their latest press release about the project here. You can support my team in this year's birdathon by following this link and donating to the the Wild Birds Unlimited Team.